Purchased a pound of these off the Internet (i.e. Nuts.com) after being a bit curious. Usually I have kept to familiar choices when ordering food online. The marketing photograph below had looked more appealing than the real ones. The actual ones had looked rotten in appearance, perhaps mistaken for a cockroach from afar. Despite the less than appetizing look, this dried fruit selection had been semi-addictive. 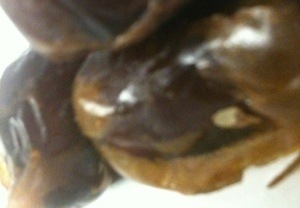 The texture of dates had been soft with mild sweetness. Shared some pieces with a few co-workers, whom had seemed equally impressed by the taste. The bag had about 80 pieces inside, lasting all of about two days at my work desk. The only thing I had preferred missing the pits in their center. 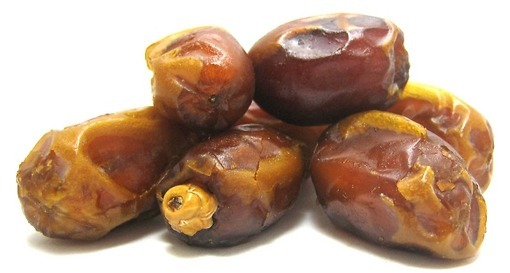 This entry was posted in Food and tagged food, Honey Dates. Bookmark the permalink.